Ceramic products and processed materials with a working temperature of over 600°C. Dense shaped and unshaped refractory materials of a total porosity < 45 % by volume are used to effectively resist process media and give necessary mechanical stability to refractory linings due to their high strength. Insulating formed and unformed refractory products of a total porosity > 45 % by volume, however, are supposed to regulate the heat losses caused by the process and keep them to a minimum. Application among others in rotary, electric and glass kilns, coke ovens and converters. In order to guarantee standard conformity of analysis the sample material must be ground to a grainsize < 63 µm, dried at 105°C and we need the value for the loss on ignition, LOI, as a kind of pre-preparation of the sample..
Consequently and if obligatory we carry out the sample preparation as mentioned obove - grinding, drying, determination of LOI - even though you have not explicitely ordered it. For the analysis of oxide and oxidizable samples composed of a wide range of different materials such as, for instance, glass and glass fibres, soils, rock, mineral raw materials, ceramic or mineral-bonded construction materials etc. This process involves adding a flux, lithium tetra borate, to the sample material, followed by fusing in an oxidizing atmosphere after which the sample is rapidly cooled down to form a homogenous fused bead, which is then analysed with utmost precision. 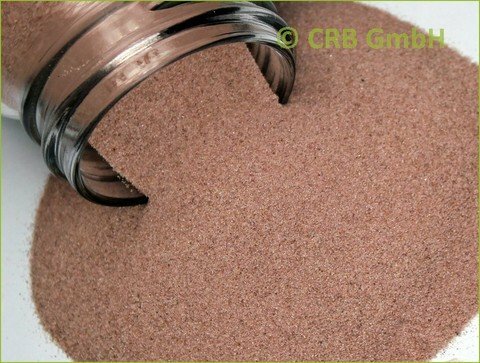 Especially suitable for environmentally relevant samples such as, for instance, contaminated or non-contaminated soil, clarifier sludge, refuse incineration residues, but also FGD gypsum, fly ash and other material. Owing to the type of preparation, texture and grain size effects may cause identification errors of the light major elements with atomic numbers up to 15. As far as the evaluation of raw material is concerned at least the elements ranging from Na to Si should also be additionally analyzed by fusion. The 27-element software program is especially suitable when dealing with problems for which a specific range of elements need to be analysed, such as the LAGA or the Kloke lists, the Sewage Sludge Ordinance, or EC Directives. In environmental toxicology, however, a large number of additional elements exist which are not considered in these lists of detection limits, standard and reference values. If a contamination with one or more of these elements is suspected or when drawing up land cadastres, we recommend that a more comprehensive measurement programme for 40 or 50 elements be chosen. In the above cases, the material is carefully prepared as follows: the sample is dried in a drying oven at a temperature of 40°C to prevent volatilisation losses of metallic or metal-organic mercury compounds, for example, and then ground in an agate mill, unless this has already been done before supplying the material. The fundamental parameter programme Omnian provides a matrix-independent, quantitative, semi-quantitative or qualitative XRF analysis of unknown samples with a variety of material properties and different organic and inorganic compositions. Samples can be analyzed either after preparation or without preparation and non-destructively in case of a suitable composition, i.e. X-ray and vacuum stable and depending on their surface condition. This enables us to determine element concentrations between the minimum detection limit, usually 250 µg/g and 100%.